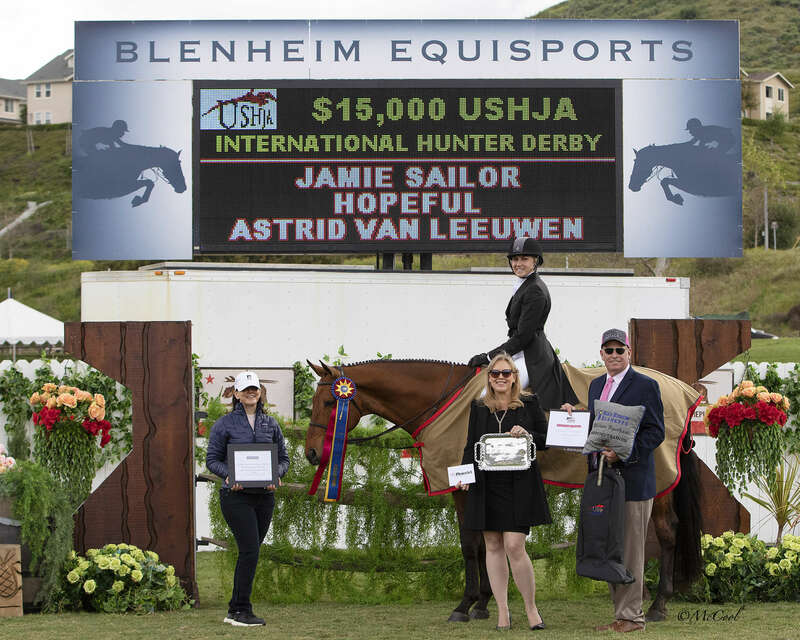 April 5, 2019 – San Juan Capistrano, CA – Coming into the handy round in third place, young professional Jamie Sailor moved up to win the $15,000 USHJA International Hunter Derby aboard Hopeful, owned by Astrid Van Leeuwen. Both Horse and rider earned their first derby victories. The pair finished with a two-round total of 370.5 points, while Karli Postel rode Get Rowdy, owned by Teton Farms, LLC, to a second-place finish, scoring a total of 368 points. Nick Haness and Lindsay Schiefelbein’s Verdict finished a close third place, with a final score of 364.5 points. Watch Jamie’ post-event interview (below). 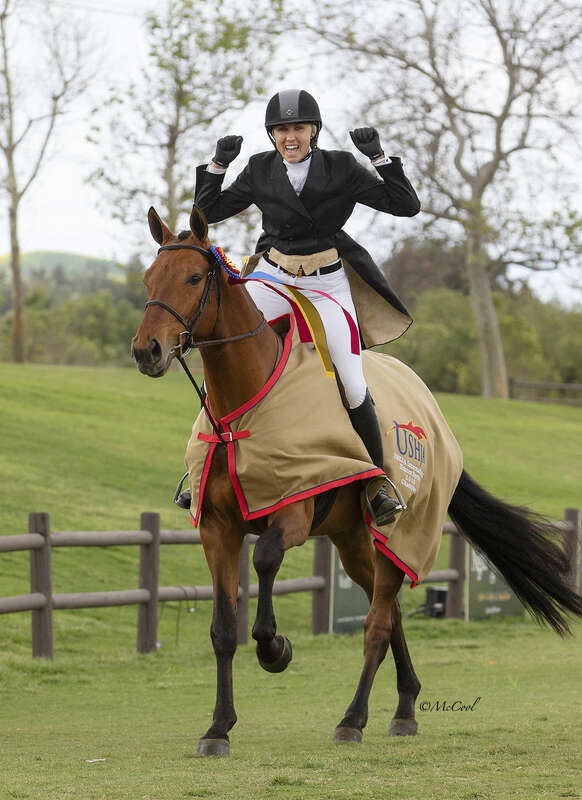 Dressed up for the affair, The Oaks International Grand Prix Field welcomed twenty hunters over the gorgeous course set by Canada’s Peter Holmes. The two judging panels consisted of Don Stewart and Patrick Rodes as panel one, while Joni Osteen and Chris Wynne made up panel two. Twelve horses advanced to the second round, where open gallops, tight inside turns, and rollbacks combined to show off a hunter’s handy traits. 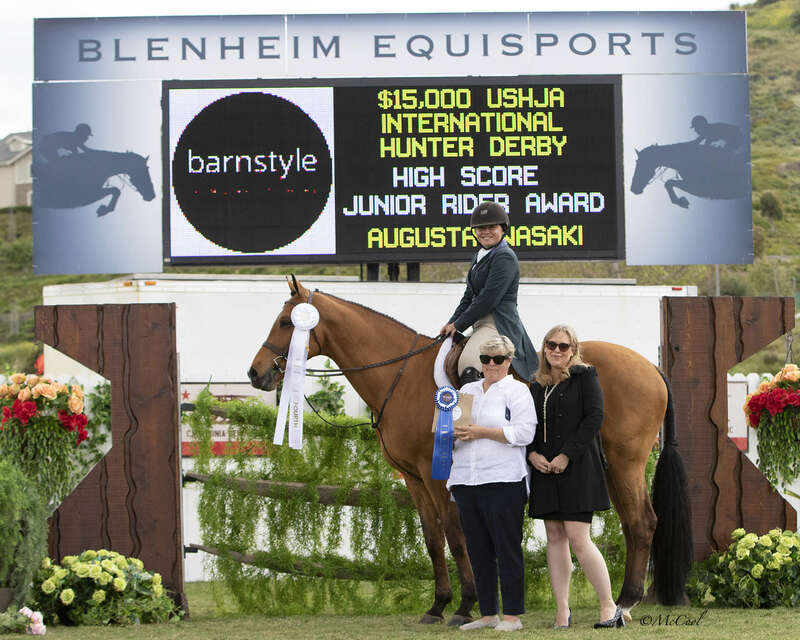 After galloping the handy course on her two other mounts, Sailor gave the seven-year-old Hopeful a confident ride, earning them both their first USHJA International Hunter Derby victories. It was the young bay horse’s second Derby of his career, but certainly not his last. Sailor led the victory gallop not only with a big smile but dropped the reins and gave two fist pumps. Along with earning the tri-color ribbon, Sailor takes home a USHJA Boot Bag and a pair of Roeckl Sports gloves. She also earned fifth and sixth place ribbons on Matador and Quarter Note, respectively. 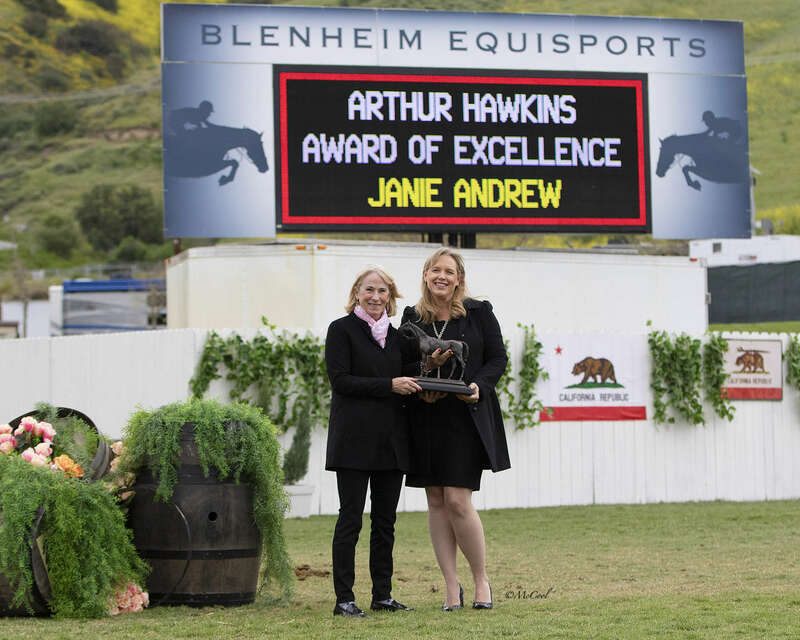 In between the two rounds of competition, Janie Andrew of Rancho Mirage, CA was awarded the Arthur J. Hawkins Award for Excellence for her decades of support of the show hunter industry. As Vic Carmen announced the credits to her name, she’s owned and shown a long list of top hunters, it was clear she belonged on the list of talented horsemen and horsewomen who have won the award over the last eleven years. Special sponsored awards also went to riders, owners, trainers, and grooms. 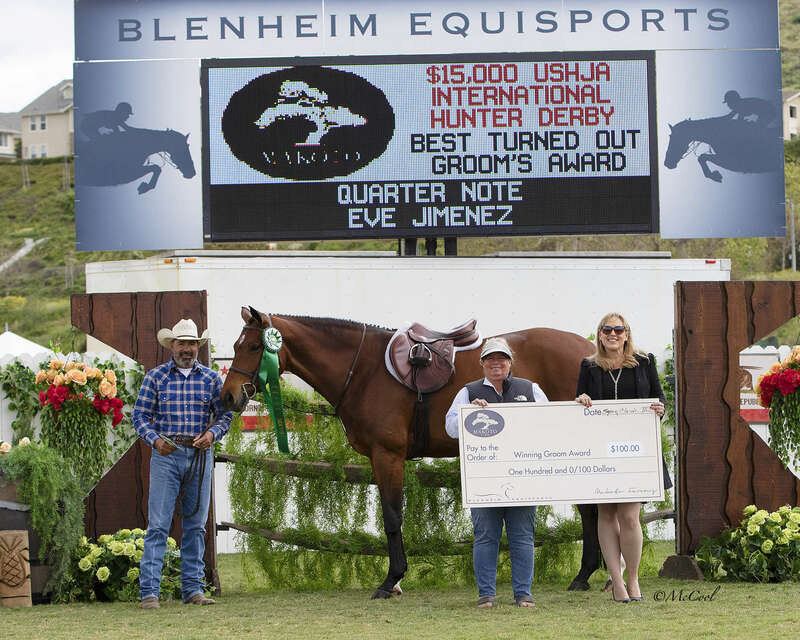 Astrid Van Leeuwen received the Balmoral Winning Owner Award, a HE Tex Sutton Forwarding Company Equine Travel Voucher, a trophy and a USHJA embroidered cooler for Hopeful’s victory. It was Sailor who earned the Blue Ribbon Blankets Winning Trainer Award. 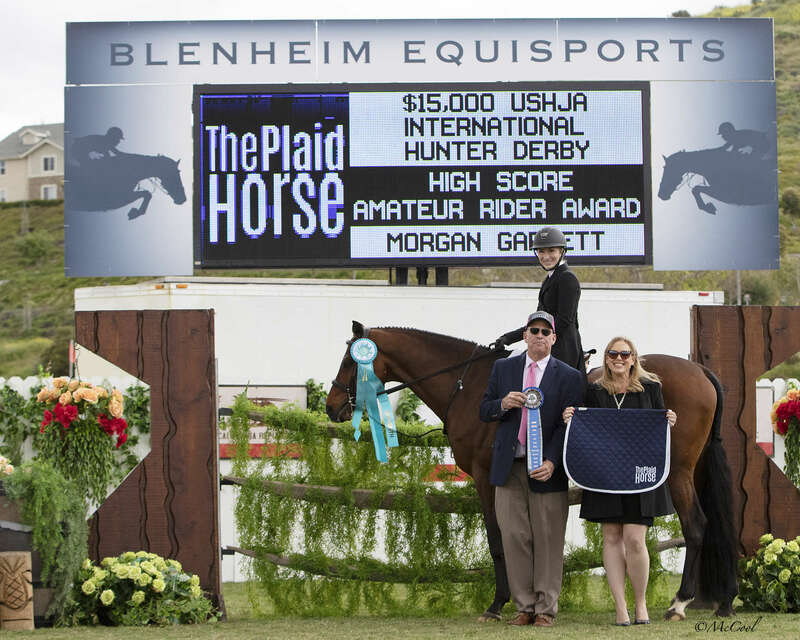 As the Blenheim Spring Classic III competition continues, the weekend highlights include Saturday’s $50,000 Spring Classic IV Grand Prix, presented by EQU Lifestyle Boutique, and a plethora of classics for the hunter and jumper divisions.